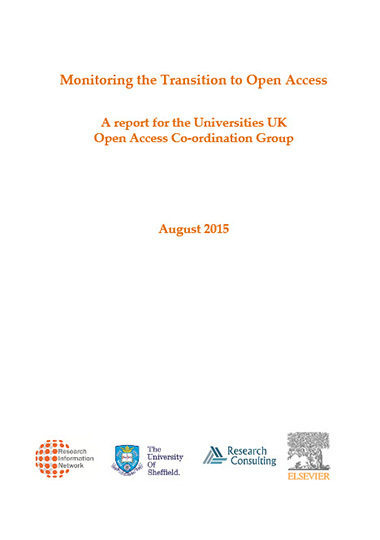 Dr. Michael Jubb led the team that produced a new report on the transition to open access in the UK. As former Secretary to the Finch Committee, he was involved in both reports that led to the UK’s open access policy. We invited Dr. Jubb to share the findings of the new report, Monitoring the Transition to Open Access. In 2012 a group led by Dame Janet Finch provided the UK government with recommendations about expanding access to research publications. The Finch Report recommendations, which were accepted by the government, included “a clear policy direction towards support for publication in open access or hybrid journals, funded by APCs, as the main vehicle for the publication of research,” along with a range of other measures to enhance access through a variety of channels. This move had the potential to change the approach to academic publishing in the UK, but in order to see the effect of the policy on research we needed a way to monitor it. A year after the original Finch Report, a second report recommended that a process should be set up to gather indicators of how things were progressing in the transition to open access. It also recommended the establishment of a body to keep the conversation going between the different stakeholders in open access in the UK. In response to this, Universities UK established an independent body in 2014: the Open Access Coordination Group. The group commissioned a team including Elsevier, the University of Sheffield, Research Consulting and us at Research Information Network to assess the transition to open access in the UK. We were asked to monitor the implementation of the Finch Report recommendations and collect and analyze evidence to show the state of play of open access in the UK. The resulting report – Monitoring the Transition to Open Access – shows the strength of the UK’s open access publishing activity. The policy developments that followed the Finch Report have had a big impact in the UK. The Wellcome Trust has had a policy to fund open access publishing since 2005 and as a result of the report, Research Councils UK also changed their policies and put money into the transition to open access. Similarly, the Higher Education Funding Council for England (HEFCE) announced a policy for the Research Evaluation Framework that supported open access but did not fund gold open access publications. Taken together, these policies have given a very significant push to open access. The new report shows that while the UK was slightly behind the global uptake of open access when the policies came into effect, the country is now significantly ahead of the global average. We collected evidence for each of these indicators in order to compile the new report. The intention is that our findings can be used as a benchmark to track progress towards the transition to open access in the UK, and comparisons with global trends, in future years. The report reveals that the UK is making a strong transition to open access, and while it was slightly behind global trends in terms of gold, hybrid and green open access in 2012, it is now significantly ahead. In 2014, 18 percent of articles from the UK were published gold open access, compared with under 17 percent globally. These gold open access figures include articles published in full OA and hybrid journals, which have played a key role in this success. In 2014, 6.5 percent of articles from the UK were published in hybrid journals, compared to 2.4 percent in the rest of the world. This is the result of a 63 percent increase in uptake under the hybrid model between 2012 and 2014. This could be attributed to UK authors’ preference to publish in higher-impact journals: because many hybrid journals are well established, they tend to have a higher impact overall compared to fully OA journals. Changes in publishing facilitated this increase in the uptake of open access: today around two-thirds of the world’s journals, and more than three-quarters of those in which UK researchers publish, offer an open access option, be it via a fully OA or hybrid model. Again, hybrid journals are important here: they comprise about half of all academic journals and two-thirds of those in which UK authors publish. Similarly, the UK is ahead of the global trend in green open access, through which versions of articles can be posted and are accessible online in accordance with journal policies and varying embargo times. Globally, 15 percent of papers published are available as green open access, and this figure is higher for the UK, at 19 percent. We also looked at “illicit” postings that are not in accordance with journal policies, such as the posting of final versions of published journal articles on sharing sites. Such postings are a major source of findable articles online and much more common than postings in institutional repositories; we estimate that a further 11 percent of UK articles and 9 percent of global articles have been posted on sharing sites. One of the key aims of open access is to enable more people to read the research. Data from publishers suggests that open access articles are being downloaded more than subscription articles, though the ratios between downloads of open access and subscription articles vary enormously. 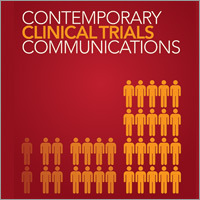 But articles can be downloaded also from a wide variety of other sites in addition to the publishers’. We need reliable data from all these sites, especially the sharing platforms, if we are to get a full picture. So there is an urgent need for more openly accessible usage data, which would enable us to get a clearer picture of usage across different publishers and platforms. The global figures show that progress has been faster in the UK than in most other countries. Whether other countries will take the same line as the UK has taken in promoting and supporting gold open access is still not clear. One or two relatively smaller players, such as the Netherlands, are pursuing a similar approach. However, we’re not seeing support for gold open access at a policy level in many other countries. Nevertheless, the global averages show that open access publishing is growing globally, even if not as fast as in the UK. Full OA journal publishing is still relatively small: it’s a growing and significant part of the landscape, but not yet at the stage where it’s becoming dominant, and it’s hard to tell what effect it will ultimately have, or what will be the longer-term impact of the models being developed by newer players such as eLife and F1000. We hope there will be continuing efforts to monitor developments along the lines outlined in the report. It is particularly important that we monitor the costs incurred by universities and funders during the transition to open access. In the UK and some other countries, funding is likely to be increasingly tight, and universities are naturally very concerned about that. While the UK has been steaming ahead in terms of transitioning to open access, we cannot be sure whether the pace of change we’ve identified is going to continue. The funding that’s been provided by the research councils in the UK has been a major stimulus, and any reductions in funding could slow the transition. On the other hand, open access is one of the themes that is set to be promoted under the Dutch presidency of the EU in the first half of 2016 – this could be very positive for the continued growth of open access in the UK and across Europe, and it will be interesting to see how it plays out. Elsevier was part of the team commissioned by the Open Access Coordination Group that conducted the research behind the new report. 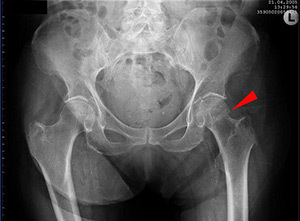 Elsevier contributed to the “Accessibility” chapter and to analysis and checking of data throughout the report. The Elsevier team included Mayur Amin, Senior VP of Research & Academic Relations; Dr. Andrew Plume and Dr. Stephanie Oeben of the Market Intelligence team in Research Strategy; and M’hamed el Aisati and Jeroen Baas of the Content & Analytics group in Research Markets. 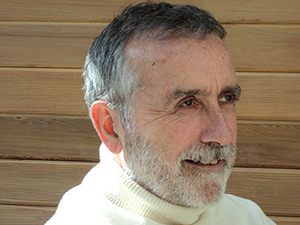 Dr. Michael Jubb has more than 40 years’ experience in research policy, funding and administration, as well as scholarly communications, starting from his time as an academic historian, an archivist, and then as Deputy Secretary of the British Academy and Deputy Chief Executive of the Arts and Humanities Research Board. He is the founding Director of the Research Information Network, where he has worked with a various organisations on issues ranging from researchers' use of library and information services, their publishing habits, and how they manage and share (or not) the data they create, to the economics of scholarly communications. Dr. Jubb was Secretary to the Finch Committee and was responsible for drafting both its original report (2012) and the subsequent report (2013) on progress in implementing its recommendations. He led the team which produced the report discussed below to assess progress in the transition to open access.